Finding a service provider that has established a reputation for integrity, honesty, and quality service at a fair price is not always easy to do. 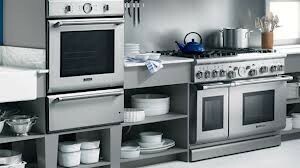 However, that is exactly what we offer at Appliance Repair Vaughan. We work hard to administer the level of customer service that earns us customers for life. At the same time, we do our best to establish long-term friendships with our friends and neighbors in the Vaughan, Ontario area. When you call us you get the friendliest and most professional appliance technician in Vaughan. We are the home appliance repair specialists in our local community. Everyone on our staff is helpful, knowledgeable, and willing to go the extra mile for every customer. Our technicians are qualified to service all kitchen and laundry room appliances in the home. You can call us to repair your leaky washer or to fix a dryer that will not dry the clothing. Is your dishwasher or freezer giving you trouble? We can fix that too. Freezers, refrigerators, and microwaves fall under our expertise. Our appliance service technician is certified to service them all effectively. Every member of our crew is an experienced kitchen appliance technician. We train every tech to be properly prepared for every service call. This requires every service vehicle to be stocked with any components or parts that might be needed to accomplish the task. By ensuring that we bring the right parts to the job we can speed up service and provide a more satisfying experience overall. We stock thermostats for freezers and fridges and seals for dishwashers and washers. Vaughan Appliance Repair is truly committed to administering the ultimate customer service experience. The appliance technician is the backbone of our business. We depend on these professionals to represent our company well out in the field. These techs can be taught how to repair any appliance, but you cannot teach them how to be friendly and respectful. Our technicians display these traits naturally. Make our Vaughan appliance technician your first choice for exceptional appliance service.